Assembly Member Jacqui Irwin introduced a resolution earlier this week that would name a stretch of Highway 101 in honor of Sergeant Ron Helus, the Ventura County Sheriff's Deputy killed in the line of duty during the mass shooting at the Borderline Bar & Grill last fall. Image courtesy of Ventura County Sheriff's Office. 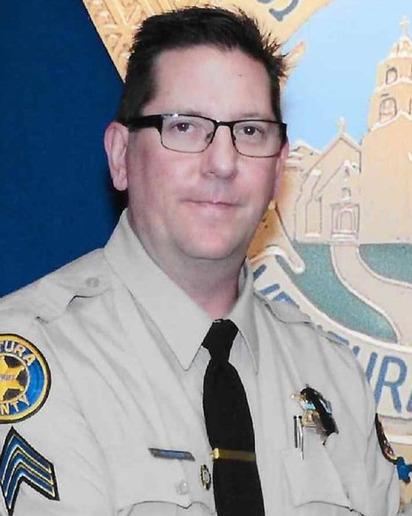 California Assembly Member Jacqui Irwin introduced a resolution earlier this week that would name a stretch of Highway 101 in honor of Sergeant Ron Helus, the Ventura County Sheriff's Deputy killed in the line of duty during the mass shooting at Thousand Oaks' Borderline Bar & Grill last fall. According to the Ventura County Star, a 3.4-mile stretch of the freeway between Hampshire and Lynn roads in Thousand Oaks would be designated as the Sergeant Ron Helus Memorial Highway. The motion was reportedly made on the same day the Assembly adjourned in honor of the 12 Borderline victims.